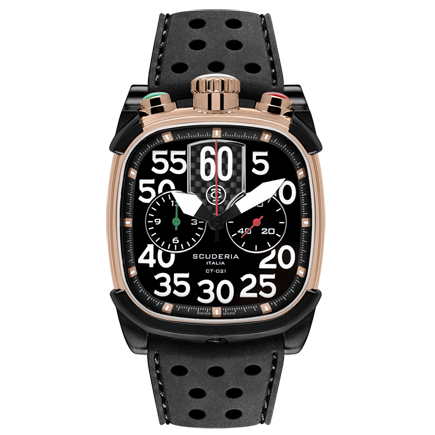 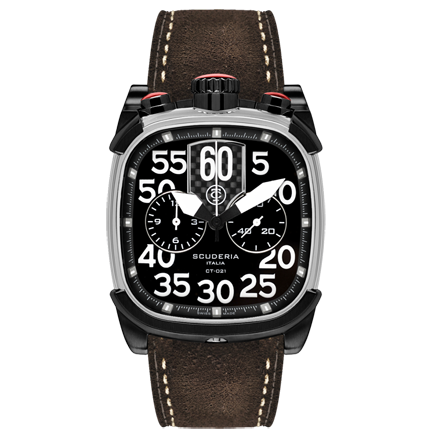 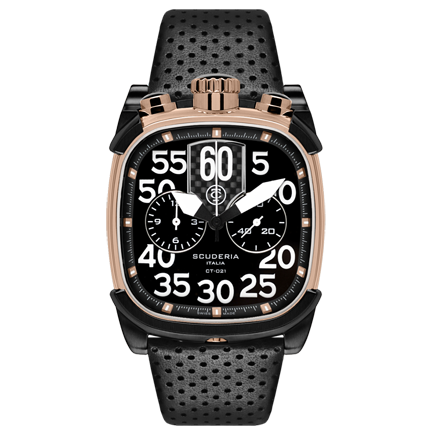 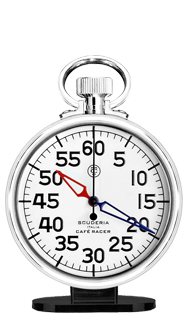 intrinsic to the stopwatches that timed the very first café races. 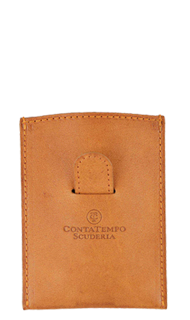 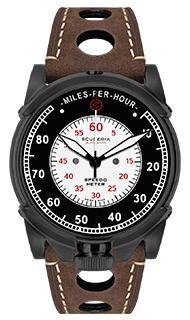 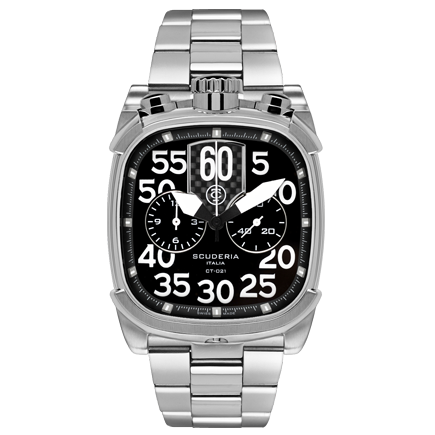 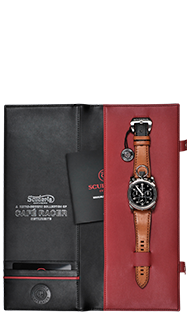 The four piece case construction lends a pared-down, durable look and has Lumi Bright Night Vision numerals. 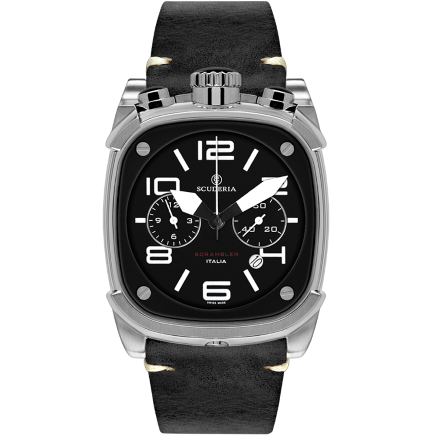 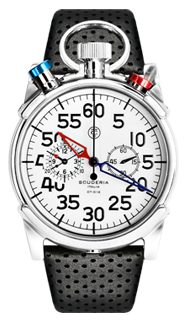 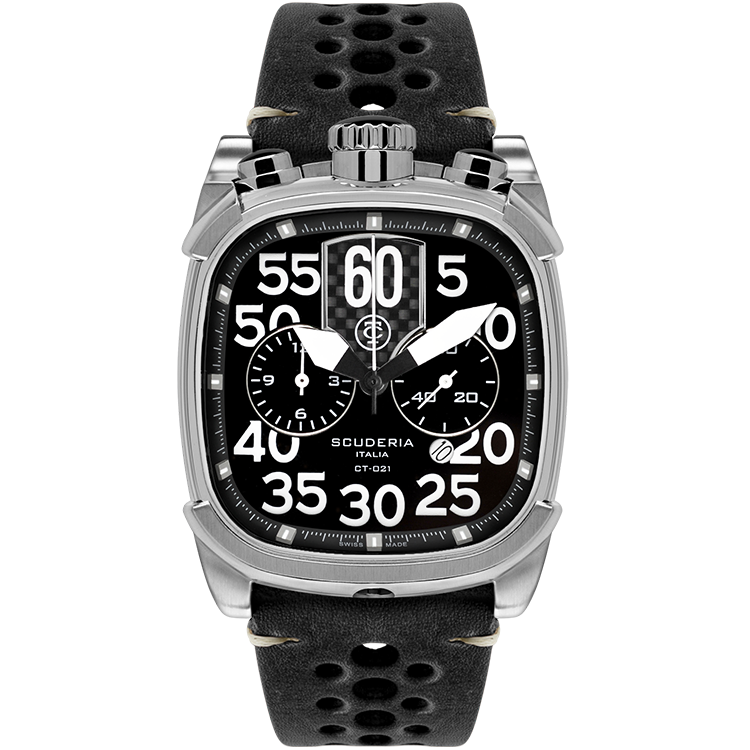 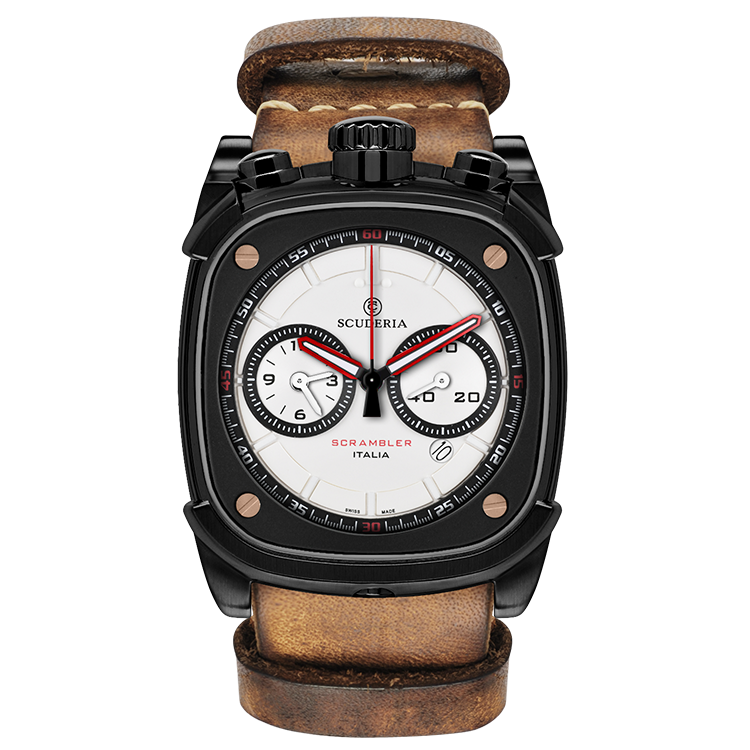 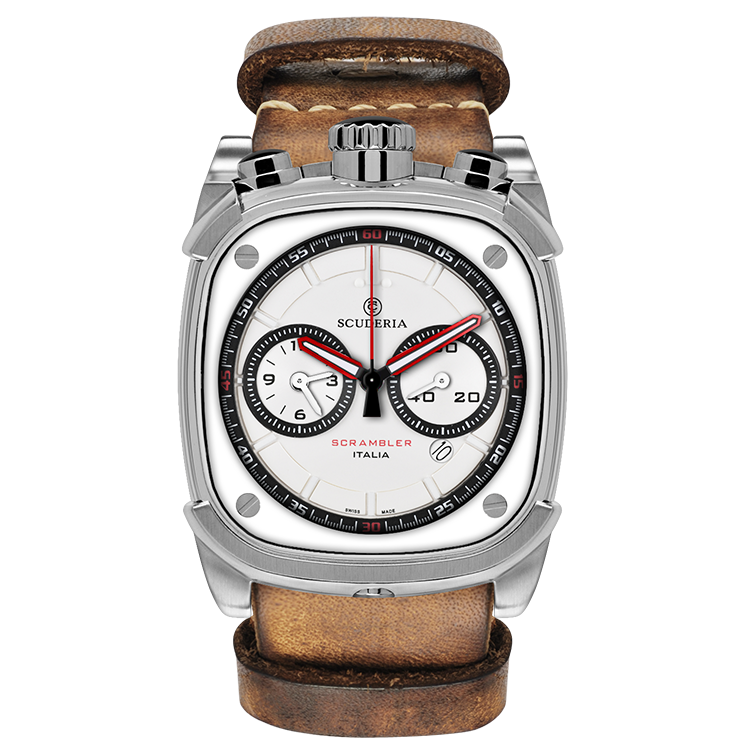 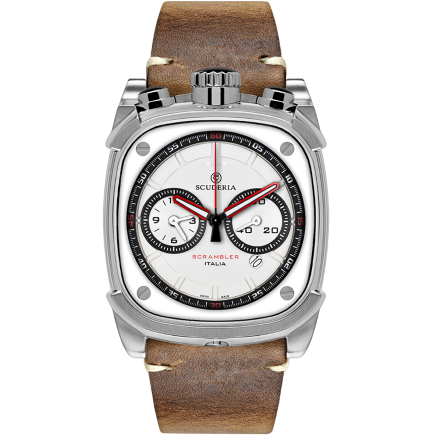 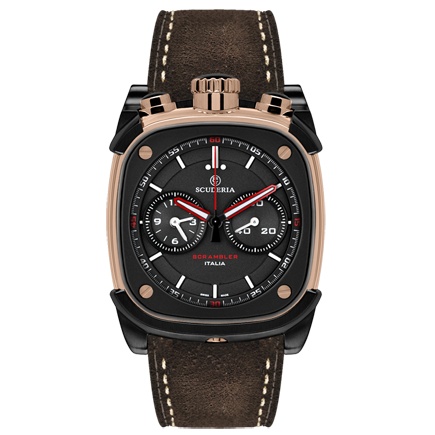 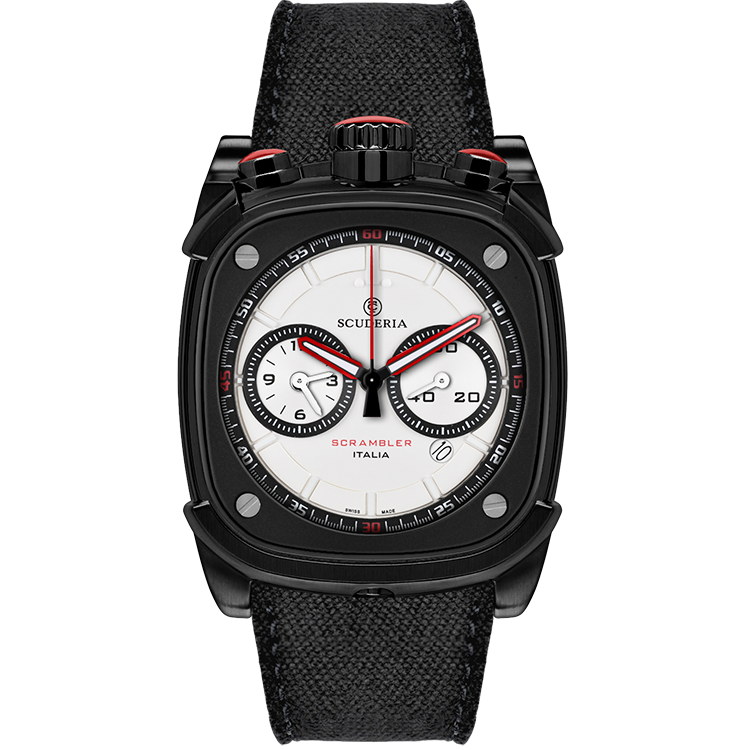 All pieces in the collection come with a 12 hour quartz movement with chronograph functionality; an essential element for any racing watch. 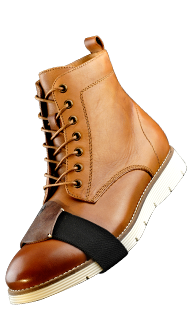 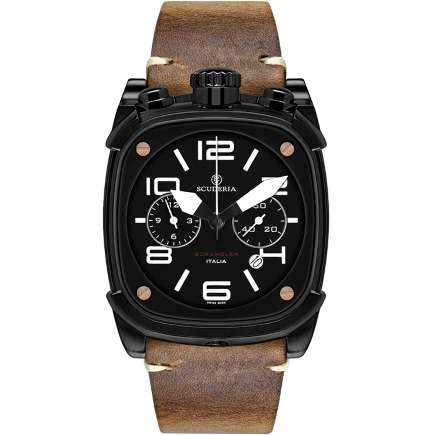 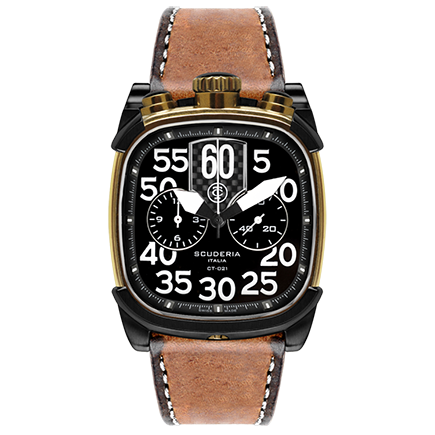 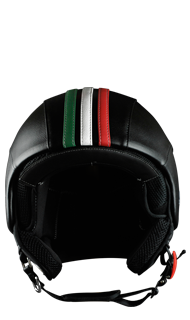 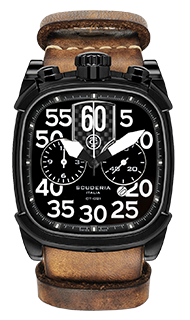 The Scrambler Collection brings together for the first time the natural elegance and classicism of a square case design with the rugged influence of motorcycles and café racing culture. 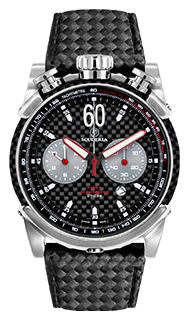 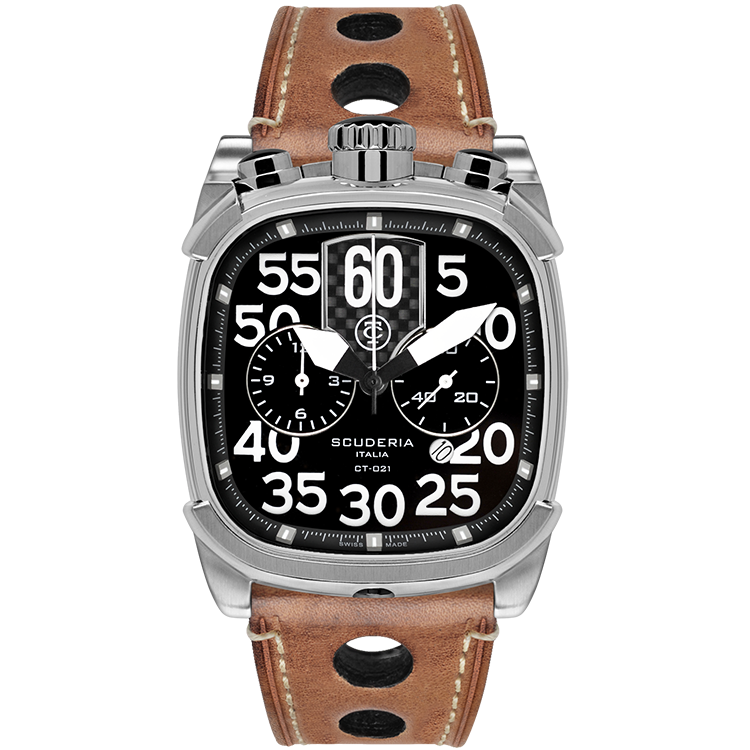 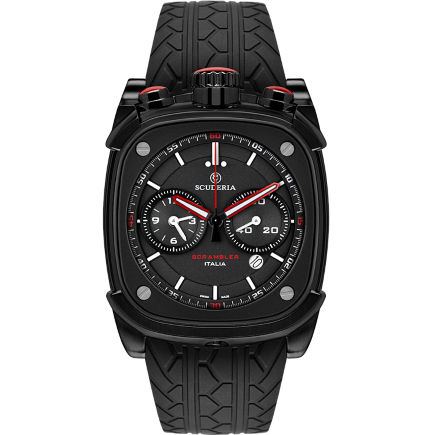 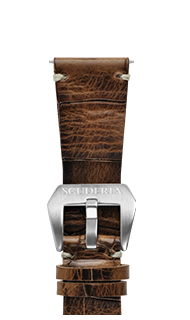 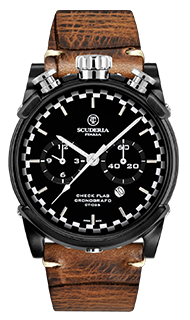 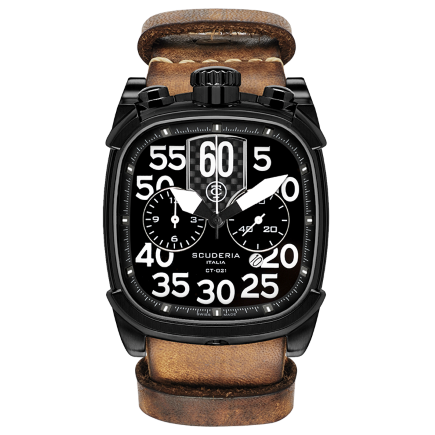 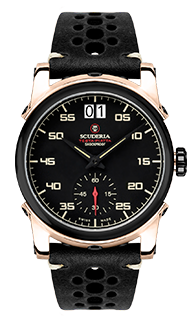 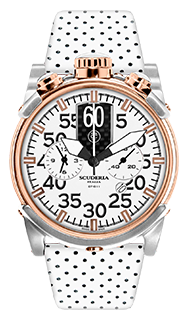 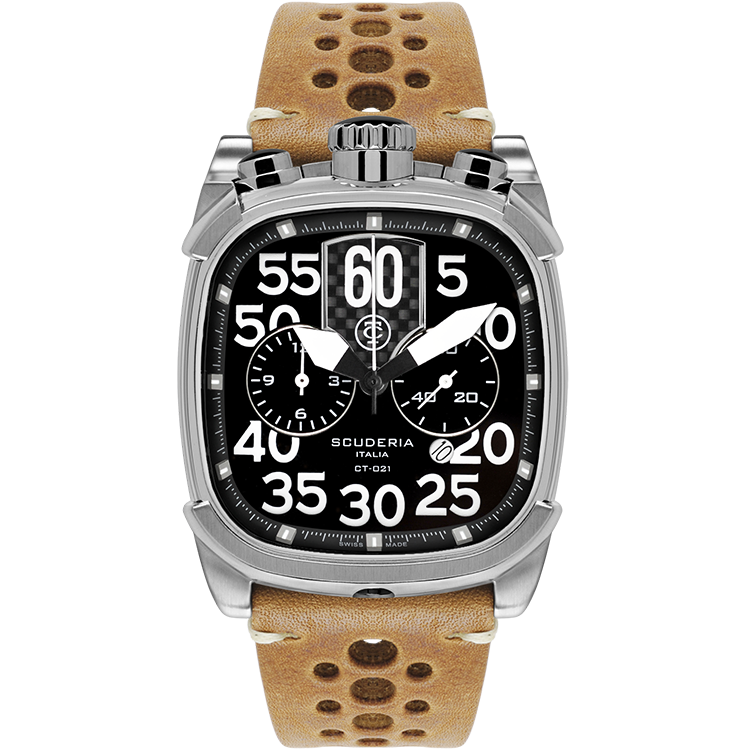 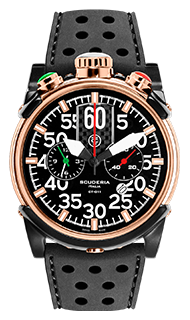 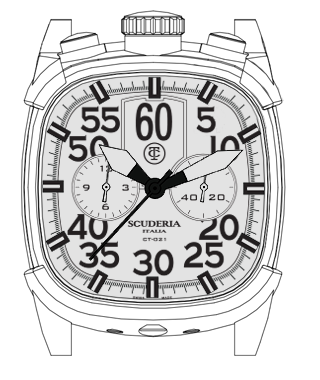 The unique juncture where Italian sartorial heritage and pure moto influence meet is where you'll find the fine timepieces of CT Scuderia.